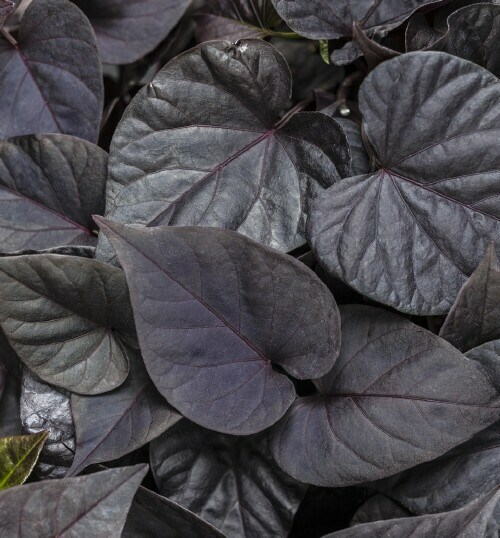 Deep purplish black heart shaped leaves on spreading plants. Great for containers or as a ground cover in the landscape. Easy to grow in full sun locations.